Any diehard Harry Potter fan knows the familiar pangs of longing when they think about the Wizarding World. We’d trade our boring non-magic jobs to be on the boat of 11-year-old crossing the lake to Hogwarts in a heartbeat. So many of us are still waiting for our long-overdue school acceptance letter, but there are a lot of Harry Potter places right here in the Muggle world that are sure to keep the magic alive. Here are the top 17. Dating from 1096 and credited as the second largest inhabited castle in England, Alnwick Castle is an interesting destination in and of itself. But it also draws Harry Potter fans, as the inner courtyard was where Madam Hooch gave the first years their first flying lesson in Harry Potter and the Sorcerer’s Stone, and makes a reappearance in Harry Potter and the Chamber of Secrets. This market is memorable to Harry Potter fans as the exterior of Diagon Alley and the Leaky Cauldron in the first film. If you actually want to go inside the Leaky Cauldron, as Harry does in the Prisoner of Azkaban after taking a ride on the Knight Bus, you’ll have to head to Market Porter Pub in London’s Borough Market. Apart from being a UNESCO heritage site, Durham Cathedral also appeared in several scenes of the Potter films, including the trio’s whispered conversations on the grounds and Professor McGonagall’s transfiguration classroom. Don’t forget to head to King’s Cross Station to see Platform 9 3/4, which the Wizarding World graciously made visible to us Muggles after the popularity of the Harry Potter films. Unfortunately, you can’t lean through onto the platform (I tried). Take a ride on the Hogwarts Express itself, called by Muggles “The Jacobite.” The train runs along the Glenfinnan Viaduct in Scotland, where you can see the scenery that also appears in the films. The halls of this abbey served as the iconic corridors of Hogwarts in the films. When Harry stumbled upon the message, “The Chamber of Secrets has been opened. Enemies of the heir, beware,” in The Chamber of Secrets that was in Gloucester. If you take a trip to Leavesden, you can go on the Warner Bros. Studio Tour and see the sets, costumes, props and more from the Harry Potter films. This 13th century nunnery served as the set for much of Hogwarts castle in the films, including Professor Snape’s potions classroom and several other hallway scenes. This is where Harry first discovered that he could talk to snakes in the first book and film. Don’t expect any talking animals here, though. This gorgeous Scottish glen was used to film many of the outdoor scenes in Harry Potter and the Prisoner of Azkaban, including scenes outside Hagrid’s Hut. This is a great place to go camping, just as Harry and Hermione did when they were trying to find the Horcruxes in The Deathly Hallows book. The Forest of Dean scenes from the film version weren’t shot there. Christ Church is home to the Grand Staircase that students climbed into Hogwarts’ Great Hall in the films. The Great Hall at Christ Church also bears an eerie resemblance to Hogwarts’ Great Hall, because the filmmakers chose it as a model for the set. Located in Loch Elit, Steall Falls served as the backdrop for the scene of the first task of the Triwizard Tournament in The Goblet of Fire, when Harry defeats a dragon with his broomstick. This fairly new piece of practical architecture was torn to pieces in The Half-Blood Prince, but that was just CGI. You can still visit the real deal in London. No list is complete without The Wizarding World of Harry Potter, located in Orlando, Florida, which is the most elaborate recreation of the Harry Potter universe, complete with Hogsmeade, Hogwarts, and numerous thrills and attractions. This simple coffee house in Edinburgh doesn’t appear in either the books or films, but still, it’s where all the magic began. The Elephant House is where JK Rowling penned much of Harry Potter and the Philosopher’s Stone. And thus, the most famous book series in the world was born. Do You Want to Sell MORE of Your Books? 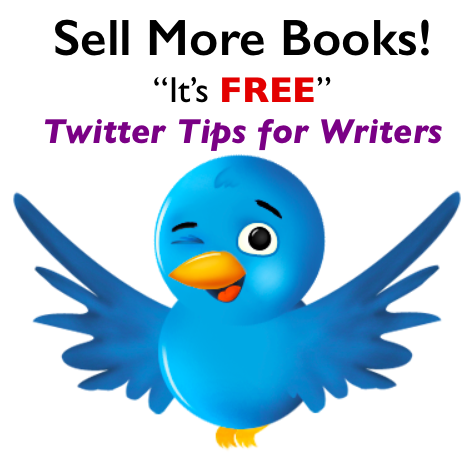 "Get my FREE Twitter Tips for Writers"
Receive my FREE video series Twitter Tips for Writers and get the tips, advice and tutorials that Connie Brentford only gives to subscribers.